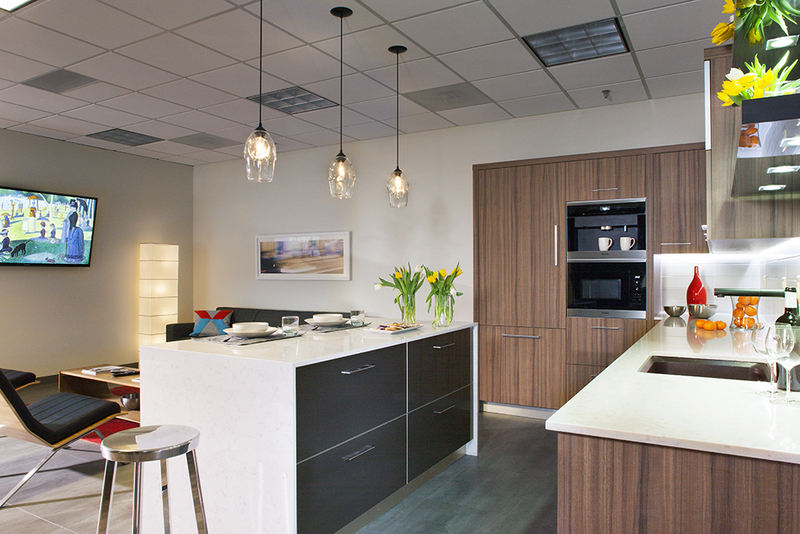 We just wrapped up a beautiful kitchenette project for an office in Cherry Creek. 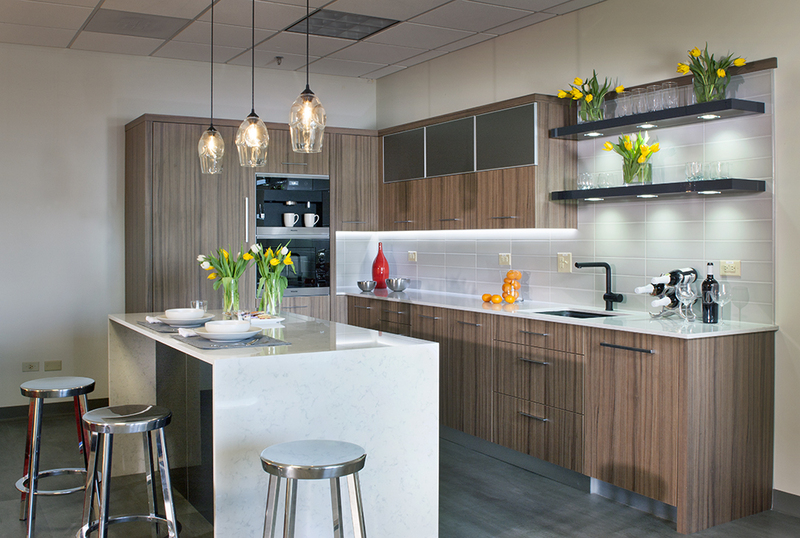 Our own Lauren Murry, designer at Kitchens at the Denver, found some brilliant ways to leverage the genius of Zonavita cabinets to make this small space carry a big load. The perimeter cabinets utilize Noce Doppelt vertical grain finish with bi-fold lift-up doors and stainless steel inserts in aluminum frames. 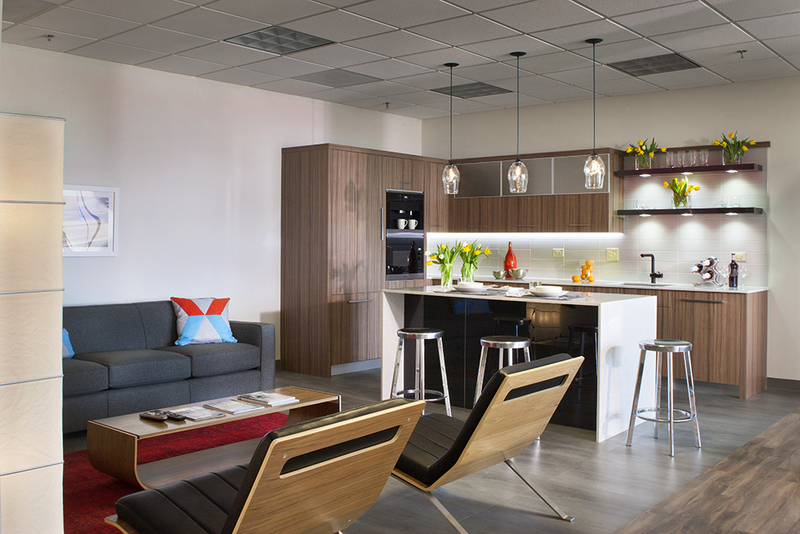 Integrated under-cabinet and in-shelf LED lighting serve both a utilitarian and aesthetic purpose in this beautiful space. The aluminum toe kick detail adds a clean, modern finishing touch. 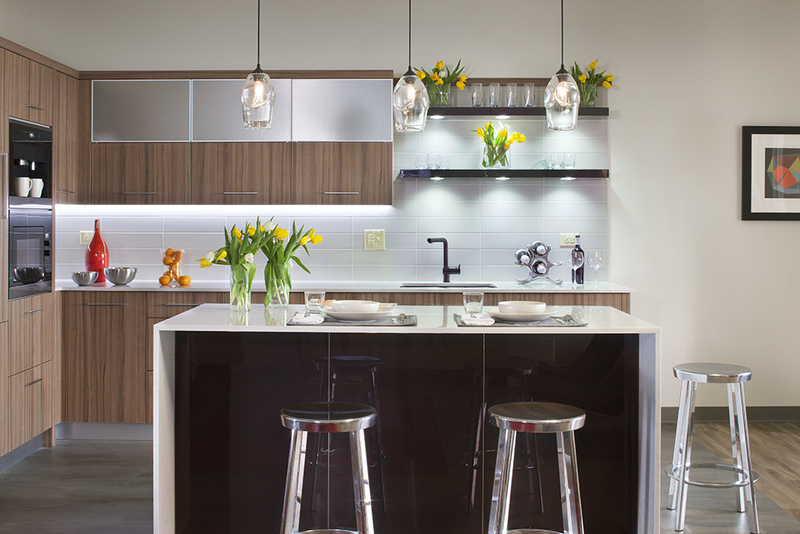 The integrated Miele refrigerator and dishwasher contribute to the seamless, unified look of the space. A Miele coffee system and microwave add convenience and style, complemented by the Silestone Lyra countertops and matte gray ceramic tile backsplash.